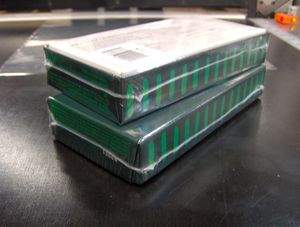 Shrink wrapping is a process that uses relatively soft polyolefin film in which a loose sheath of film is created around the product, sometimes sealed on two sides. The loosely sheathed product passes through a heat source, which shrinks the film to the dimensions of the product. The result is a very tight wrap, conforming to the product shape, often with a ridge of plastic around the perimeter of the product or gaps in film on either end. Shrink wraps are typically stronger than overwraps and the machines are inherently very flexible. The downside is that shrink wraps can be less attractive than overwraps. Note: “stretch” and “shrink” obviously don’t mean the same thing. 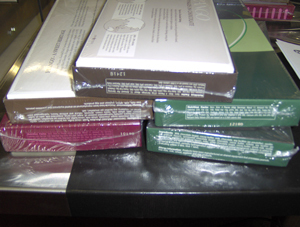 Stretch wrappers, a popular choice for wrapping pallet loads of products, achieve tight wraps by expanding the stretch film-rubber-band-like-before enveloping the product and letting the film return to its original size.